Pregnant or not, this is just a great recipe for on-the-go or to use as meal prep. I basically live on this make ahead breakfast/snack even way before I got pregnant. 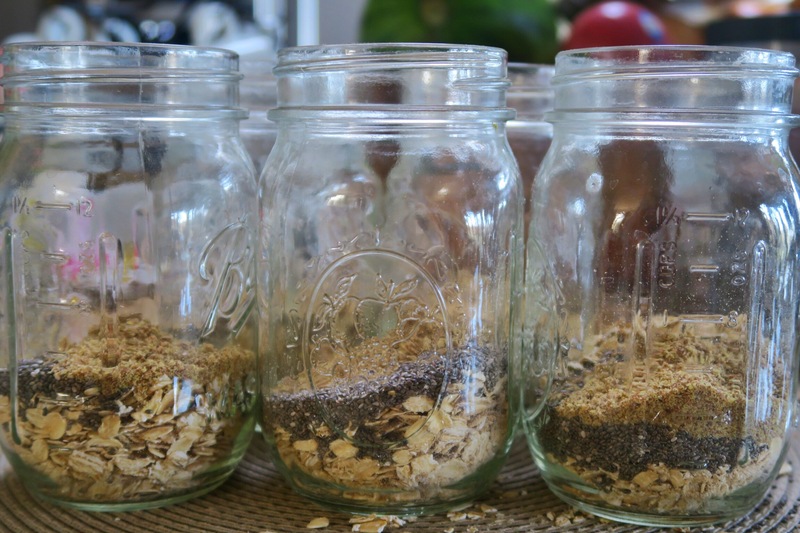 Just prep 5 jars for the week and set yourself up for a nutritious breakfast or anytime meal really. These are great to have in the long breastfeeding evenings and early mornings in between feedings, because my life revolves around that now, ha!! Winecoachmakes life easier because he basically adds fun toppings for me and I can eat shortly after or even during feeding her. It just makes me SO HUNGRY! Adding fruit makes this just extra delicious and nutrient rich! This is all the good stuff needed to make milk and I have noticed my milk production increasing each day. It’s really a blessing and I do think this recipe has something to do with it! Don’t want to necessarily make milk? Simply leave out the brewer’s yeast and add the rest to get a nice hearty breakfast packed with fiber, protein, healthy fats and complex carbs. This is the basic recipe. Get creative! Catch the video here to see it all coming together. 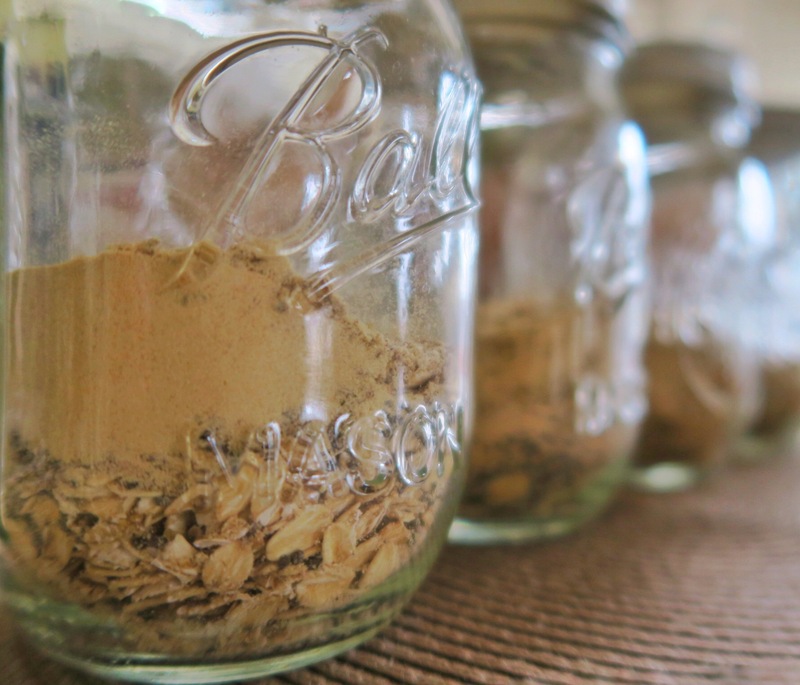 Add dry ingredient base + whichever dry optional ingredients in mason jars. 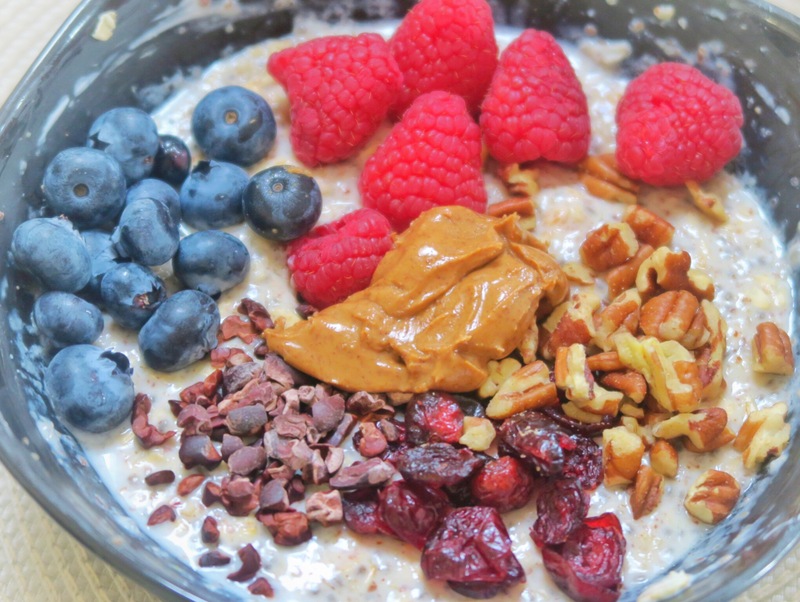 For overnight oats, add wet ingredients and allow oats to soak overnight in the fridge or at least 4 hours. Eat cold or heat it up when you’re ready to eat. May need to add a bit more milk to stir easily as the oats tend to soak everything up (unless you enjoy it thicker. A bit of water will also do the trick. Cut up fruit and add nuts for added nutrition and texture. You scan also add it to a bowl! SNAPCHAT: AnaSandee – Follow me there because I snap & cook, share my adventures and more of Baby Sandee with you guys! Also, you get my recipes early, before they make it to the blog! Videos stay up for 24 hours and sometimes become YouTube videos! This entry was posted in Brunch It On Sundays, Colorful Pregnancy, Sweet Stuff, Uncategorized. Hi I really admire on your journey towards motherhood and your self discipline on getting back your pre pregnancy body size and most of all of your generousity of sharing tips to boost milk production. I have a curious question are you taking coffee because this is one of my routine that I can hardly eliminate from my daily intake,though I’m taking it only every morning so that’s one cup a day. You best believe I am. I only stopped drinking coffee on my first trimester because it made me nauseous. Started back up on the second and didn’t stop. Everything in moderation! Don’t overdo it with the caffeine if you’re having issues with milk production but you can have some and stay happy ? You’re the best Ana, so inspire by you. Thank you for sharing your journey. You’re awesome!! Hi Ana, I’ve been following you on Instagram and love love love your pages. I am a proud mommy of a beautiful baby boy and we gave birth on the same day. I was wondering how you get to breastfeed and pump everyday? I am constantly breastfeeding my baby every 2-3 hrs and cannot find the opportunity to pump since I’m feeding him so regularly. Could you share your experience or some tips? Thank you so much for your positivity and sharing your colorful life experiences. I’m gonna give this recipe a go but was wondering if this is something I can meal prep including the wet ingredients or should I wait until the night before to add them in? What do you recommend? Most of the time I do 2 servings at a time. I Mealprep dry ingredients and just add wet ingredients the night before. Good for 2 nights – even 3 is ok. I hope this helps! Any suggestions to make this recipe dairy free? 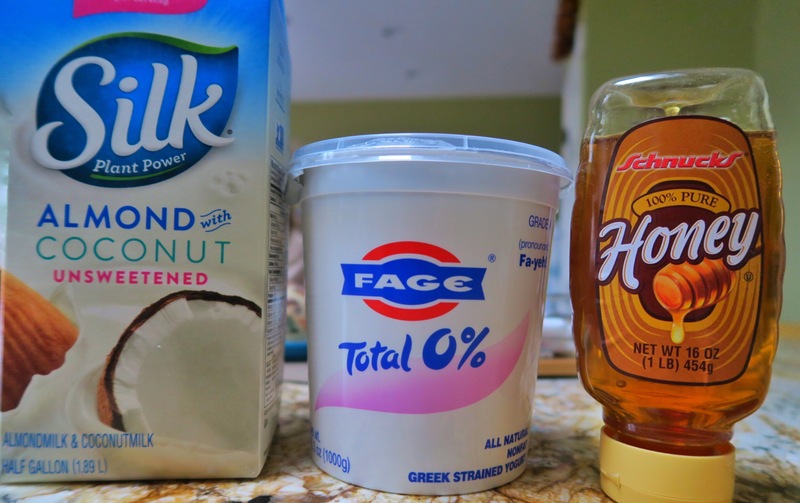 I can use coconut milk, but what about the yogurt? Use a dairy free yogurt as well! Or omit it if you don’t have it. It does add a nice creamy consistency…. I hope you enjoy it!